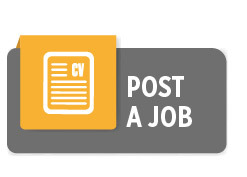 When you post on CareerHQ, you ensure your open position will shared with a wide range of candidates who have the skills and experience your firm needs and are drawn from the membership of the state’s largest legal organization. Using this simple system, you can update every aspect of your open position any time you like. All listings run for 30 days. Online users should use the following browsers for best results: Edge, Firefox, or Chrome. Your listing will show a status of Not Started. Just click on that term to change the status to Open. Here’s how you can manage your job listing. Open listings can be searched by applicants for 30 days, unless you decide to close the search sooner. Closed listings cannot be searched. Expired listings have exceeded the 30-day posting period and cannot be searched.